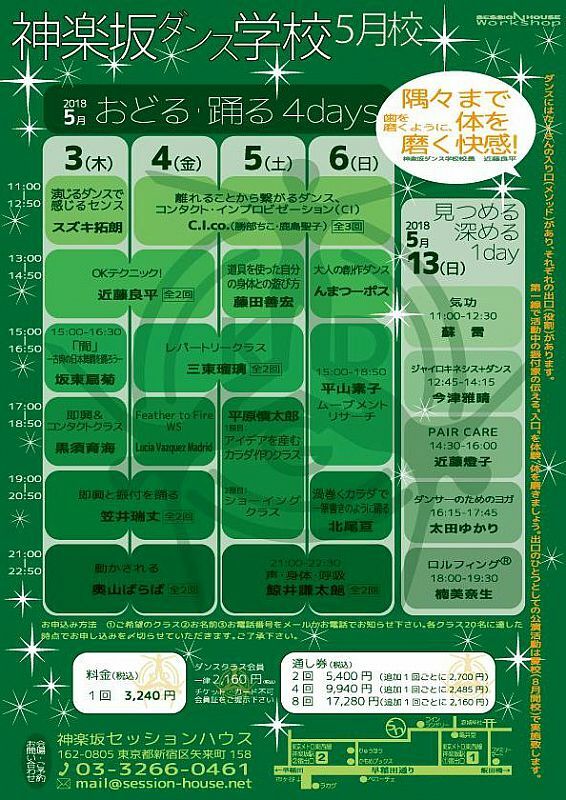 Fri Dec 14, 2018 Releced a trailer "POISON "
Premiered in 2015:A trailer that edited the video of Tohohashi Arts Theater Produce Performance"POISON ~ Eat Shakespeare ~ ". 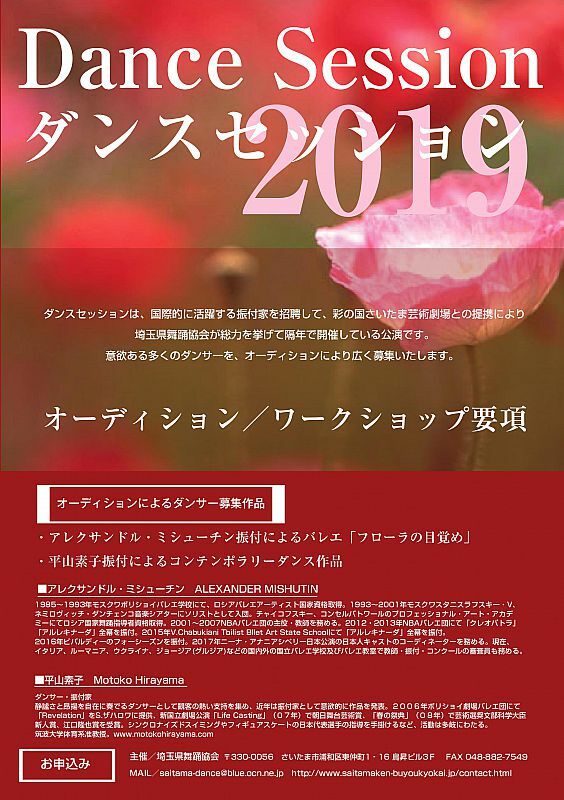 A new work of Motoko Hirayama will be performed at the "Dance Session 2019" held at Saitama Art Theater hosted by the Saitama Dance Association. We are looking for dancers. 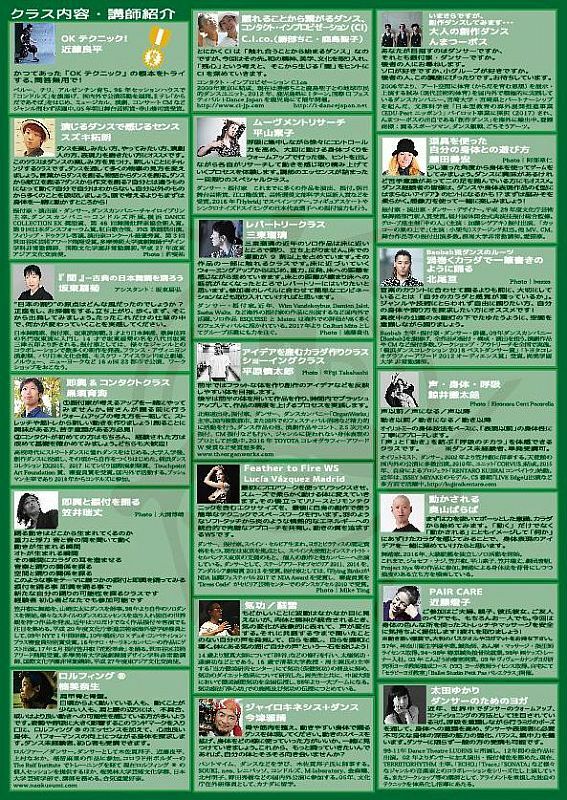 The performance will be January 27, 2019 (Sun) Saitama Arts Theater . 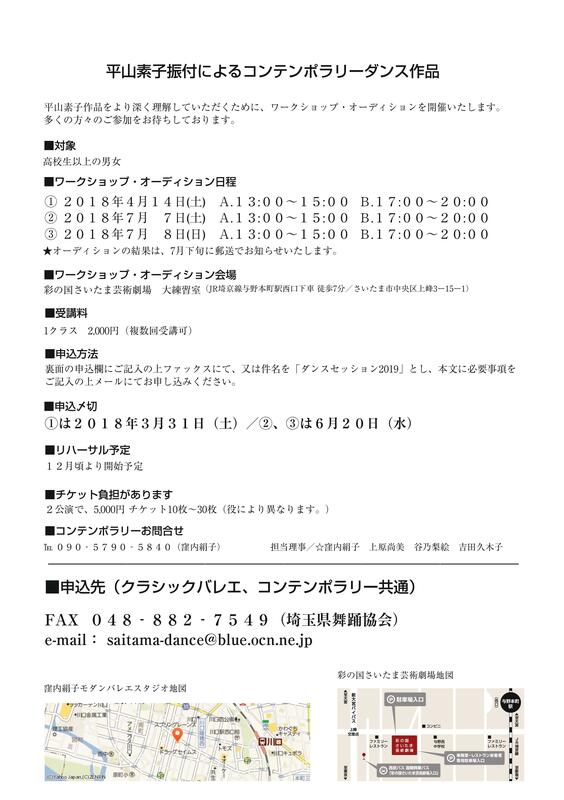 Motoko Hirayama's movement research class at the session house "Kagurazaka Dance School 2018 May school". One-time special class packed with essence of Motoko. After concentrating on respiration, gradually increase control power and warm up body making bold movements, after experiencing hints, each students will experience the process of feeling movement and stacking up. For details, please visit Session House HP. Fri Dec 14, 2018Releced a trailer "POISON "